"Massachusetts Deaths, 1841-1915," database with images, FamilySearch (https://familysearch.org/ark:/61903/1:1:N7FX-5LY : 10 December 2014), Sarah M. Emerson Hale, 06 Jun 1900; citing Boston, Massachusetts, v 507 p 292, State Archives, Boston; FHL microfilm 1,843,729. 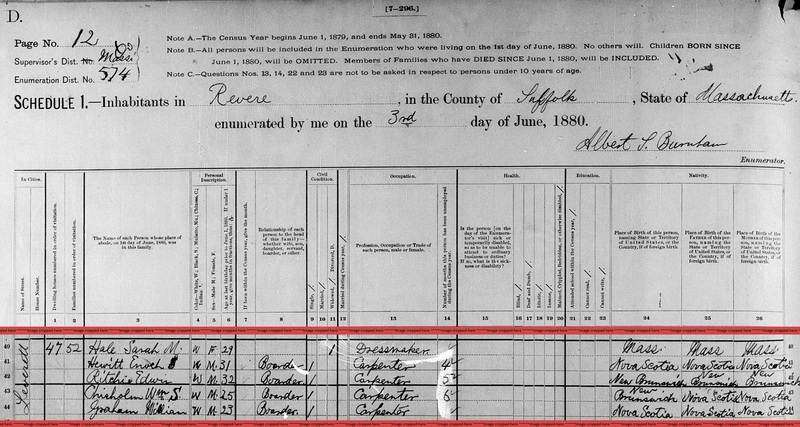 "United States Census, 1880," database with images, FamilySearch (https://familysearch.org/ark:/61903/1:1:MHXX-CFG : 7 July 2016), Sarah M Hale, Revere, Suffolk, Massachusetts, United States; citing enumeration district ED 574, sheet 6D, NARA microfilm publication T9 (Washington D.C.: National Archives and Records Administration, n.d.), roll 0552; FHL microfilm 1,254,552. 1880 United States. Census Office. 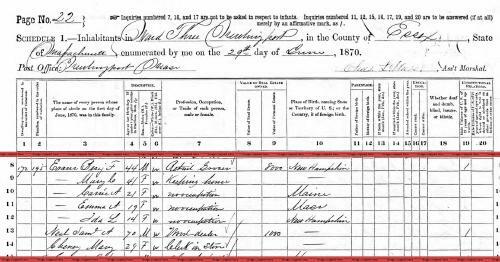 10th census, 1880 federal population census, Washington, District of Columbia: National Archives and Records Service, ([19--]) , FHL Film 1254100; National Archives Film T9-0100; Page 522C. 1880 United States. Census Office. 10th census, 1880 federal population census, Washington, District of Columbia: National Archives and Records Service, ([19--]) , Census Place: Hartland, Hartford, Connecticut; Roll: 100; Family History Film: 1254100; Page: 522C; Enumeration District: 052; Image: 0165. Connecticut Deaths and Burials, 1772-1934, index, FamilySearch (https://www.familysearch.org), , FHL Film Number: 3121. "Connecticut Deaths and Burials, 1772-1934," database, FamilySearch (https://familysearch.org/ark:/61903/1:1:F7ZT-JJF : 3 December 2014), Maria W. Emmons Fogg, 12 May 1910; citing Southington, Connecticut, reference ; FHL microfilm 3,124. Massachusetts Vital Records, 1841-1910, , Vol: 401 ; Page: 247. William B. Lapham, History of Bethel: formerly Sudbury, Canada, Oxford County, Maine, 1768-1890; with a brief sketch of Hanover and family statistics, , at https://books.google.com/books?id=4vUgAQAAMAAJ . Augusta, Me. : Press of the Maine Farmer, (1891) , pp. 525-6. 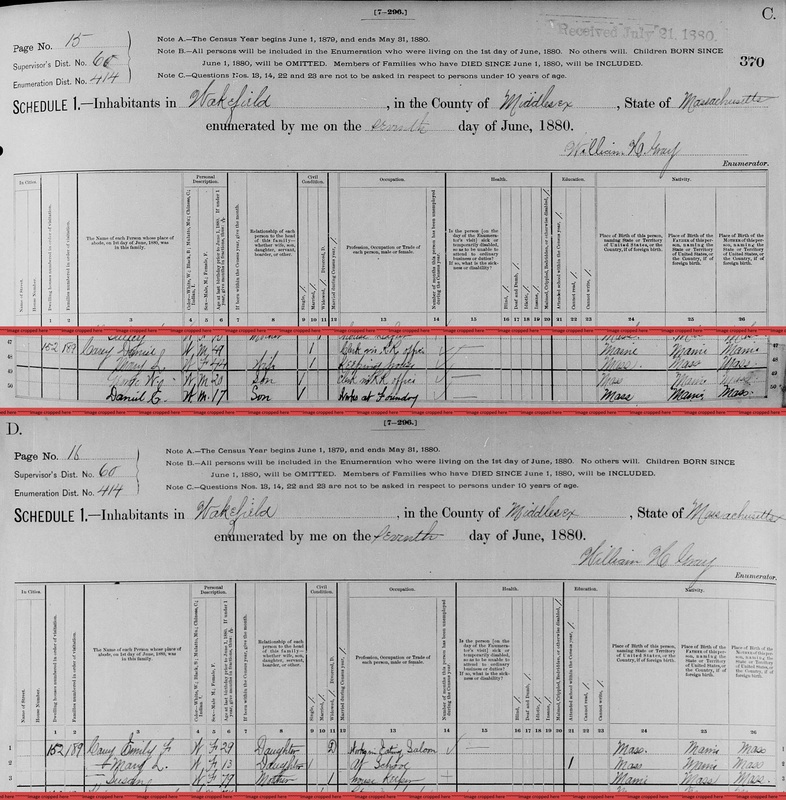 "Massachusetts, Marriages, 1841-1915," index and images, FamilySearch (https://familysearch.org/pal:/MM9.1.1/NWY3-WHZ : accessed 13 Dec 2012), Phillip D. Hart and Hannah M. Carey, 1850. 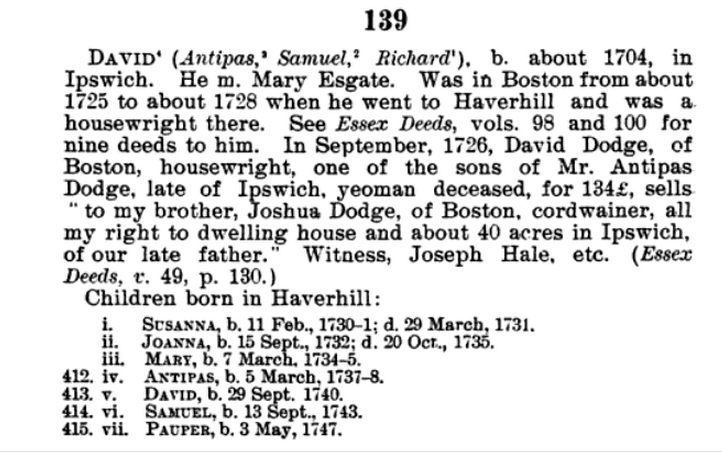 "Massachusetts, Deaths, 1841-1915," index and images, FamilySearch (https://familysearch.org/pal:/MM9.1.1/N4DL-X2V : accessed 13 Dec 2012), Hannah M Hart, 1911. 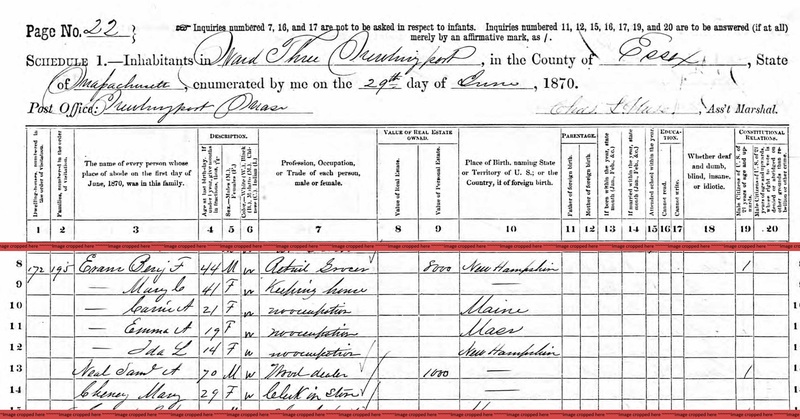 "Maine Births and Christenings, 1739-1900," database, FamilySearch (https://familysearch.org/ark:/61903/1:1:F43J-3J2 : 4 December 2014), Cary, 25 Dec 1825; citing CIVIL, BETHEL, OXFORD, MAINE; FHL microfilm 10,606. 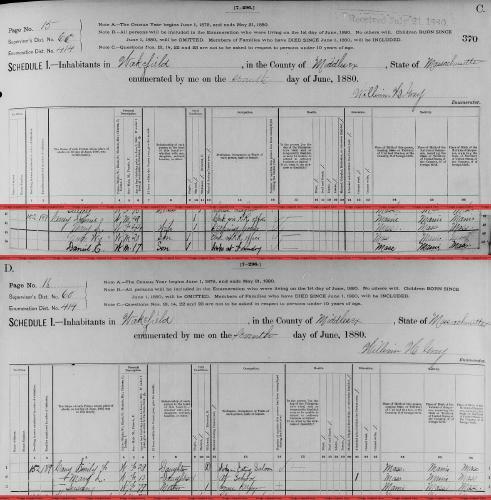 "Maine Births and Christenings, 1739-1900," database, FamilySearch (https://familysearch.org/ark:/61903/1:1:F43J-3JV : 4 December 2014), Hannah Moody Cary, 05 Apr 1836; citing CIVIL, BETHEL, OXFORD, MAINE; FHL microfilm 10,606. 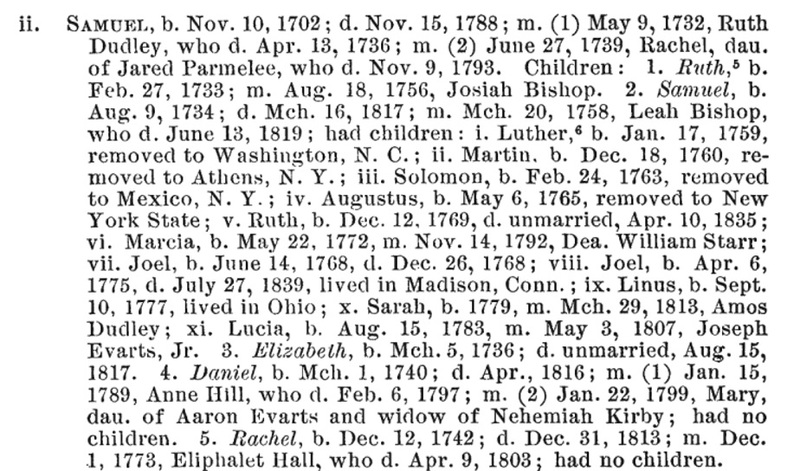 "Maine Births and Christenings, 1739-1900," database, FamilySearch (https://familysearch.org/ark:/61903/1:1:F43J-3VY : 4 December 2014), Joseph Staples Cary, 03 Jan 1837; citing CIVIL, BETHEL, OXFORD, MAINE; FHL microfilm 10,606. 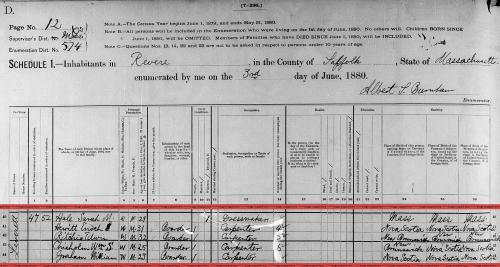 "Maine Births and Christenings, 1739-1900," database, FamilySearch (https://familysearch.org/ark:/61903/1:1:F43J-3JG : 4 December 2014), Jane Elizabeth Estes Cary, 30 Nov 1838; citing CIVIL, BETHEL, OXFORD, MAINE; FHL microfilm 10,606. 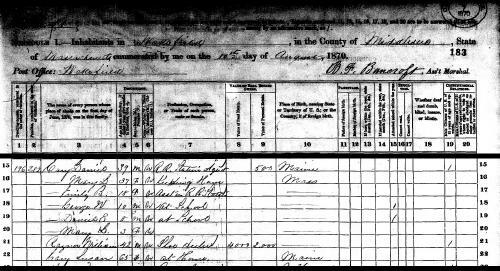 "Maine Births and Christenings, 1739-1900," database, FamilySearch (https://familysearch.org/ark:/61903/1:1:F43J-3J5 : 4 December 2014), Cary, 22 Jan 1842; citing CIVIL, BETHEL, OXFORD, MAINE; FHL microfilm 10,606. Lydia Estey was born perhaps about 1764. 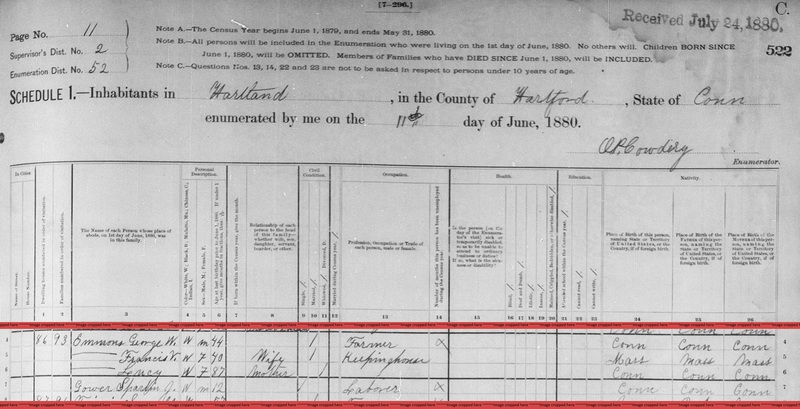 "Maine Births and Christenings, 1739-1900," database, FamilySearch (https://familysearch.org/ark:/61903/1:1:F44Q-MFZ : 4 December 2014), Ester Eustis, 24 Aug 1807; citing JAY,FRANKLIN,MAINE; FHL microfilm 11,037. "Maine, Faylene Hutton Cemetery Collection, ca. 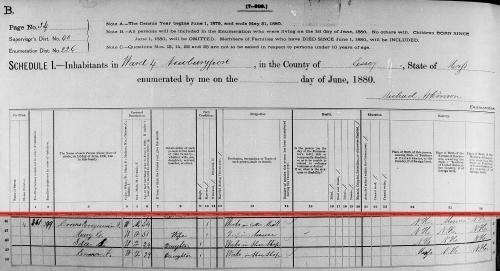 1780-1990," database with images, FamilySearch (https://familysearch.org/ark:/61903/1:1:QKMB-BVP7 : 16 April 2015), Esther Eustis Hale, 1888; citing Burial, Jay, Franklin, Maine, United States, Maine State Library, Augusta; FHL microfilm 1,769,529. "Massachusetts Deaths, 1841-1915," database with images, FamilySearch (https://familysearch.org/ark:/61903/1:1:NW1G-YSF : 10 December 2014), Benjamin F Evans, 31 Oct 1906; citing ,,Massachusetts, 450, State Archives, Boston; FHL microfilm 2,258,378. 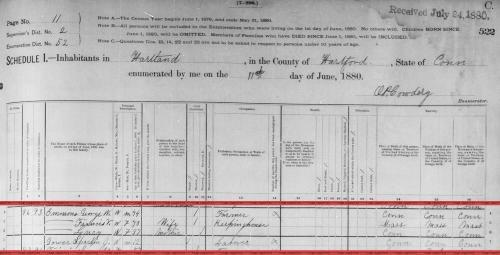 "New Hampshire Marriage Records, 1637-1947," database with images, FamilySearch (https://familysearch.org/ark:/61903/1:1:FL68-NCD : 12 December 2014), Benjamin Evans and Mary C. Neal, 12 Jun 1848; citing Dover, , New Hampshire, Bureau of Vital Records and Health Statistics, Concord; FHL microfilm 1,000,987. 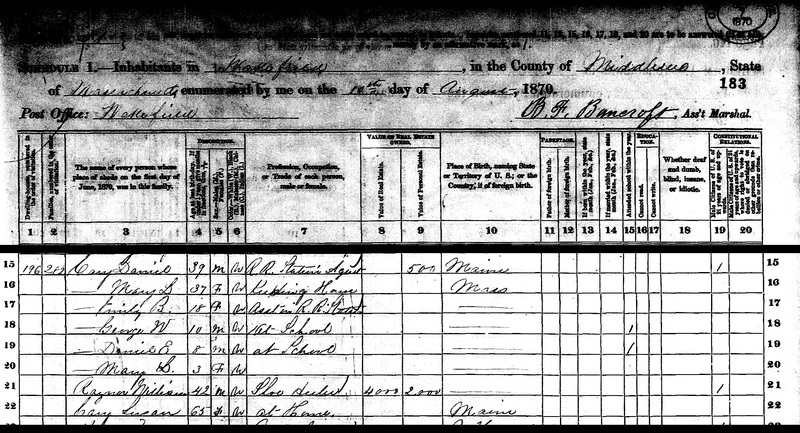 "United States Census, 1880," database with images, FamilySearch (https://familysearch.org/pal:/MM9.3.1/TH-1951-25143-25031-73?cc=1417683 : 24 December 2015), Massachusetts > Essex > Newburyport > ED 226 > image 34 of 47; citing NARA microfilm publication T9 (Washington, D.C.: National Archives and Records Administration, n.d.). 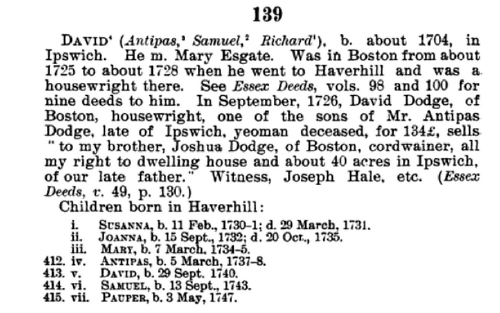 "New Hampshire Births and Christenings, 1714-1904," database, FamilySearch (https://familysearch.org/ark:/61903/1:1:FDND-WQ5 : 12 December 2014), Evans, 16 May 1851; citing WALPOLE TWP,CHESHIRE,NEW HAMPSHIRE; FHL microfilm 1,000,498. 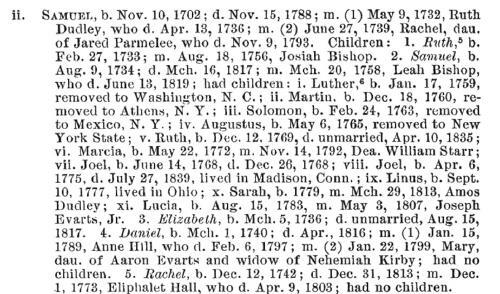 Ralph D. Smyth, "John Evarts of Guilford, Conn., and his descendants", The New England Historical and Genealogical Register, Vol. 61, , at https://books.google.com/books?id=uiFAAAAAYAAJ . Boston: New England Historic Genealogical Society, (1907) , p. 28. Judith McGhan, Genealogies of Connecticut families: from the New England historical and genealogical register, Baltimore, Maryland: Genealogical Publishing Co., Inc., (1983) , pp. 27-8. Ralph D. Smyth, "John Evarts of Guilford, Conn., and his descendants", The New England Historical and Genealogical Register, Vol. 61, , at https://books.google.com/books?id=uiFAAAAAYAAJ . Boston: New England Historic Genealogical Society, (1907) , p. 27. Thomas W. Baldwin, Vital records of Sharon, Massachusetts to the year 1850., Boston: Stanhope press, F. H. Gilson company, (1907) , p. 97.